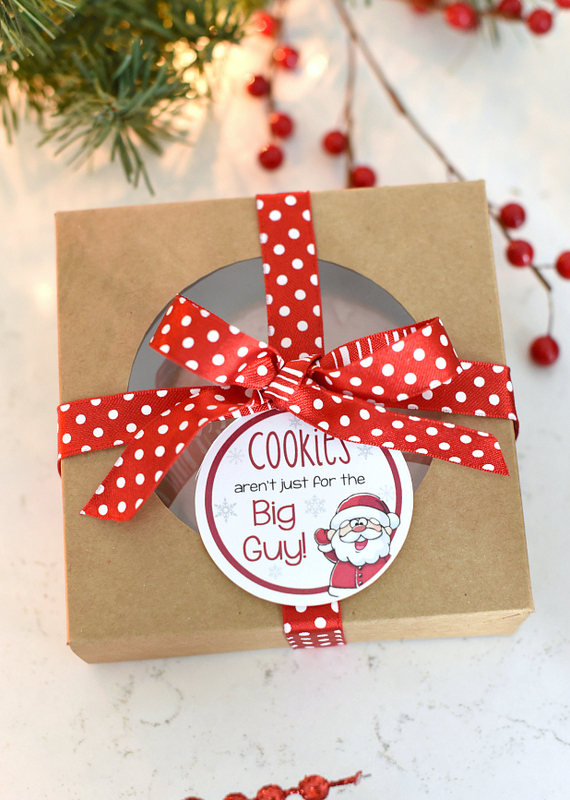 A Peek at the Fun: If you need a simple but fun Christmas gift for a friend this holiday season, this Bath Bombs gift idea is perfect! 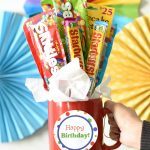 It’s simple to put together, has a cute and punny tag and is something she will love to receive! When the children are nestled all snug in their beds with visions of sugar plums dancing in their heads…but only after you’ve had to attend their holiday music programs, taken cookies to their class parties and heard all about the 432 things that are on their Christmas list this year, it might be time for a long winter’s bath. 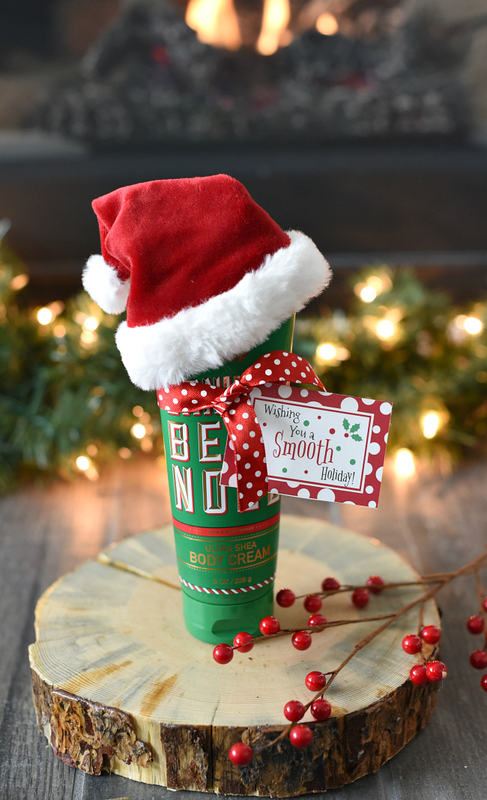 We know the holidays get crazy and everyone can use a little downtime after running all over with holiday activities and parties, so this is a perfect gift! 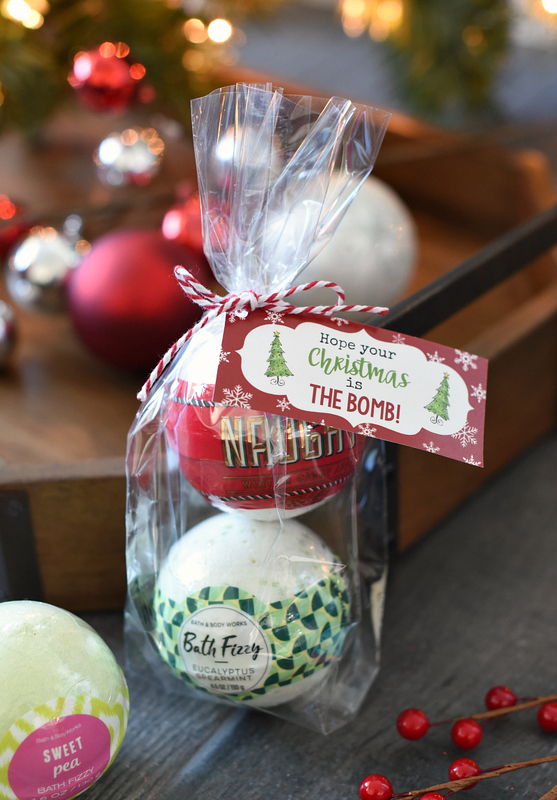 We love these bath bombs and know they will make a perfect holiday gift for our friends (and maybe we grabbed a few for ourselves). 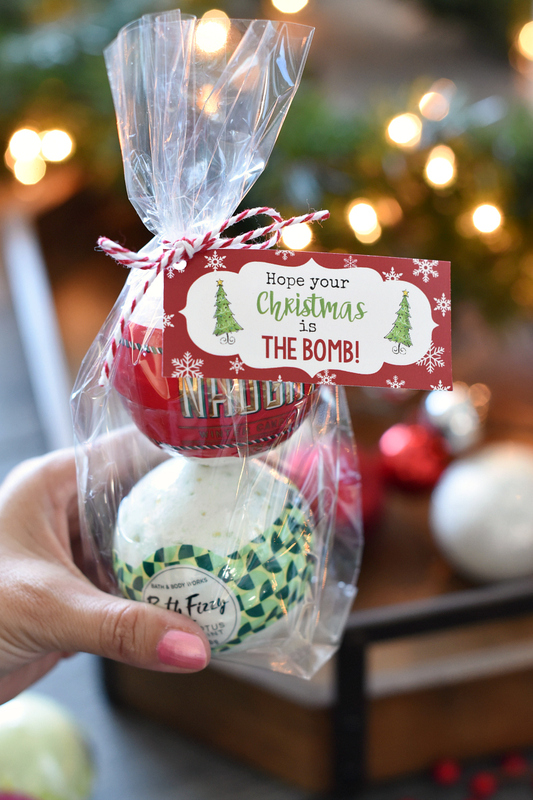 Your friends will love receiving this cute bath bombs gift idea for Christmas. 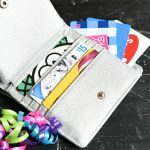 We just love fun Christmas gift ideas and these turned out so cute and were so easy to put together! And your friends will love it when you give it to them. Win-win right? This won’t take a lot of work to put together. Put a couple of bath bombs in your cellophane bag. Tie it with a ribbon and then add this cute tag! Here is the tag for you to use. You can either right click and save it to your computer and then open in a program on your computer like Word or Pages, size how you want and print. Or, here is a PDF with a bunch of them on it ready for you to print. Package it all up and then give it to your friend!! 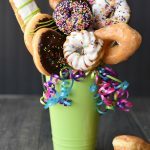 She’s going to love it! 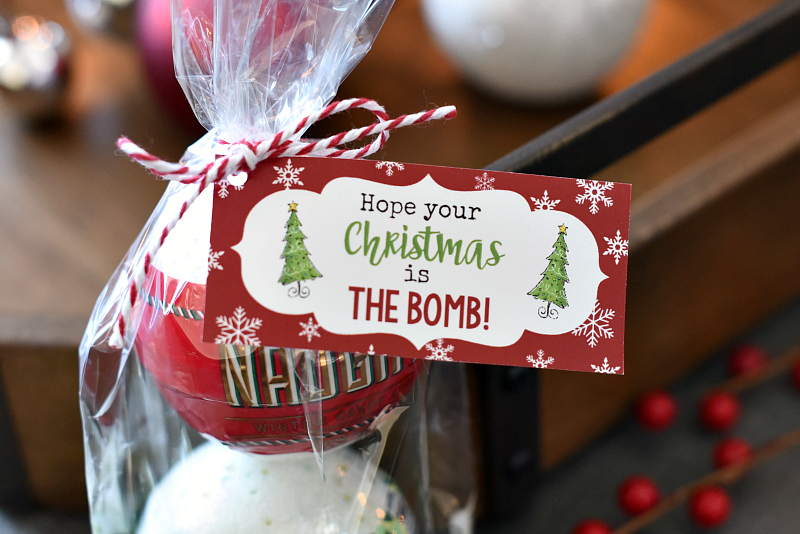 Have FUN giving this bath bombs gift idea this Christmas!